Defense Minister Avigdor Liberman wants U.S. special counsel Robert Mueller to disclose the name of the Israeli official who allegedly colluded with former Trump campaign chairman Paul Manafort in a smear campaign against a Ukrainian opposition leader, Hadashot reported on Sunday. Liberman reportedly asked Israel’s Justice Minister Ayelet Shaked to file a request with Mueller for disclosure of the official’s name, apparently to dispel charges that he, Liberman, was that official, which he vehemently denies. Haaretz said it was told by Mueller’s team that it cannot reveal the identity of the Israeli official because the individual in question has not been charged with a crime. The Israeli connection came to light in court documents filed Friday, as part of a plea deal with the special counsel, who is investigating alleged Russian meddling in the 2016 U.S. presidential campaign. Labor Party leader Avi Gabbay and former Meretz leader Zehava Gal-On sent letters on Sunday requesting that Attorney-General Avichai Mandelblit take steps to find out the identity of the Israeli who worked with Manafort and whether he acted illegally. Gal-On’s letter suggested that whichever Israeli coordinated the media campaign in 2012 to attack pro-EU Ukrainians as anti-Semitic, to boost pro-Russian Ukrainians with the Obama administration, may have acted illegally. It also noted that such machinations appeared to contravene state policy at the time, which was to avoid comment on anti-Semitic activity in Ukraine. 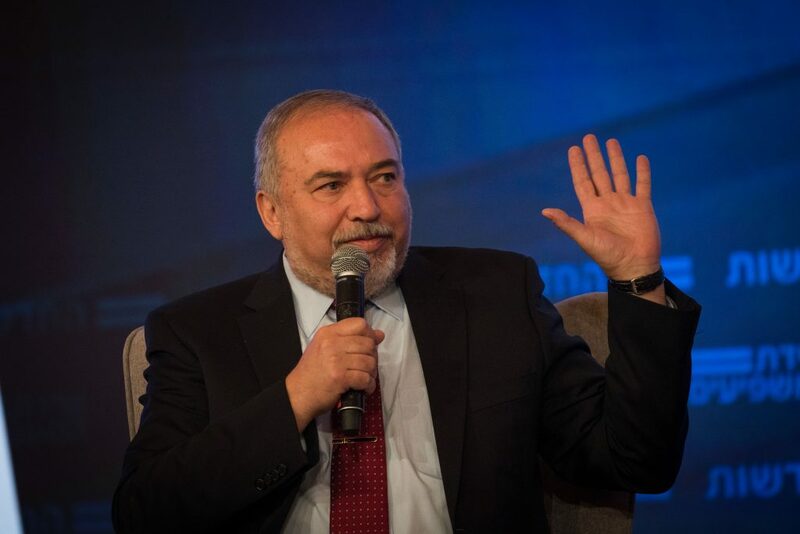 The letter, along with a flurry of recent news stories, pointed the finger at Liberman as the most likely senior Israeli official to be involved, based on a post he made at the time which seemed identical to the statement described in the indictment against Manafort. Liberman has said unequivocally that he had no dealings whatsoever with Manafort, and any comments he made were on his own initiative, against anti-Semitic trends in Ukraine. Mandelblit’s office has, as yet, made no decision on the matter. The Foreign Ministry declined to respond to media queries.